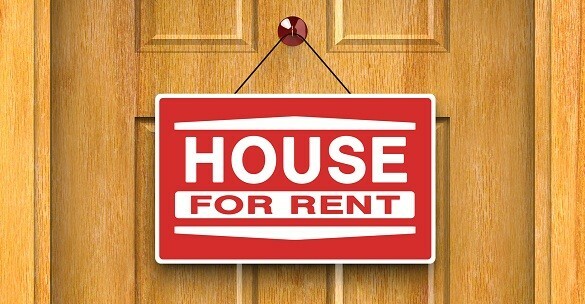 These days there are lots of great reasons to rent out your home versus selling it. Perhaps you’re work requires constant travel or you need to relocate but aren’t ready to sell your Las Vegas home. Maybe you own another property that you need to fix up and want to live in it and still earn additional income. Whatever the reason, investors and savvy homeowners alike are choosing to jump on the property management bandwagon by offering up their property for rent. Here are 3 brilliant benefits of renting out your home. 1.) Additional Income: If you play your cards right and work with an experienced Las Vegas property management company, you can turn a profit renting out your Las Vegas home. The rental income you receive from one property can cover mortgage, taxes, and even insurance payments. Don’t know how much rent you should be charging? A Las Vegas property management company can help you determine the most competitive rate to charge for your Las Vegas rental home. In addition, a property manager can save you time by finding you a tenant, collecting rent payments, and maintaining your property. 2.) Provides a buying/seller buffer: For homeowners who are struggling to sell their homes or maybe waiting for their home to sell while a new home is being built, renting out your home in the interim may provide a buffer between selling and buying a new home in Las Vegas. Transitioning your home into a Las Vegas rental property for even six months can buy you time and provide you with a buffer until your house can sell. Housing a renter also helps prevent having a vacant home, which can become the target of break-ins and vagrants. 3.) Get Tax Breaks: Turning your home into a Las Vegas rental home doesn’t always guarantee loads of income, but it can bring in some great tax perks. Even though rental income is taxed as regular income, numerous deductions on expenses and depreciation can whittle down the tax bill. Homeowners can deduct out-of-pocket expenses related to owning and managing your Las Vegas home. This includes property taxes, association fees, property insurance, repair costs, maintenance expenses, and fees paid to Las Vegas property management companies. Renting out your home isn’t for everyone, but for many it can be a viable solution to meet your needs. Though there are risks that should be carefully considered before renting out your home, doing so may provide you with additional income, tax breaks, and more. If you’d like to learn more about renting out your home, or if you’re looking for a Las Vegas property manager to maintain your investment, please contact Simply Property Management-Paielli Realty, Inc.